Sachin Tendulkar played a mighty innings. It was a knock which could have taken the game away from us. Definitely, when Sachin was batting we thought the game was slipping away. 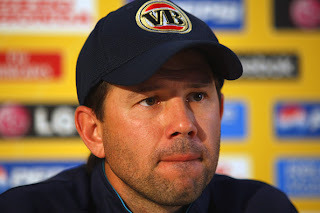 That is why his dismissal was the turning point in our victory today and it was one of the best knocks I've seen from Sachin said Australian captain Ricky Ponting after his team won the fifth one-dayer here on Thursday. SACHIN IS A TURNING POINT OF EVERY INDIAN MATCH,,,IT SHOWS HOW GREAT HE IS..!!!!! i was fortunate enough to watch this very match in the stadium. It was my first cricket match at any stadium and what a treat it turned out to be. His game is beyond the imagination, greater than the voice of the LATA, more beauty than the MADHUBALA.